The 2241 foot pier was built for the Isle of Man Harbour Board for £45,000. It opened on 22nd July 1886. Designed by Sir John Coode, construction was by Head Wrightson and Co. of Stockton-on-Tees. The 3 foot gauge tramway, originally used to carry building materials, was now used for baggage transport. A new landing stage opened in 1899 and an enclosed passenger van entered service that August. The railway was hand propelled until 1937 when the 8hp Planet (a small petrol locomotive) entered service. A new Wickham Railcar followed in August 1950, while 1955/6 saw the replacement of the two diverging track spurs with a short straight section on to the road. This gave the line a length of 2080 feet. 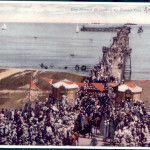 In 1956, the pier entrance was rebuilt. In 1969, a mere 3054 steamer passengers disembarked, a fall from 36,000 per year prior to 1914. 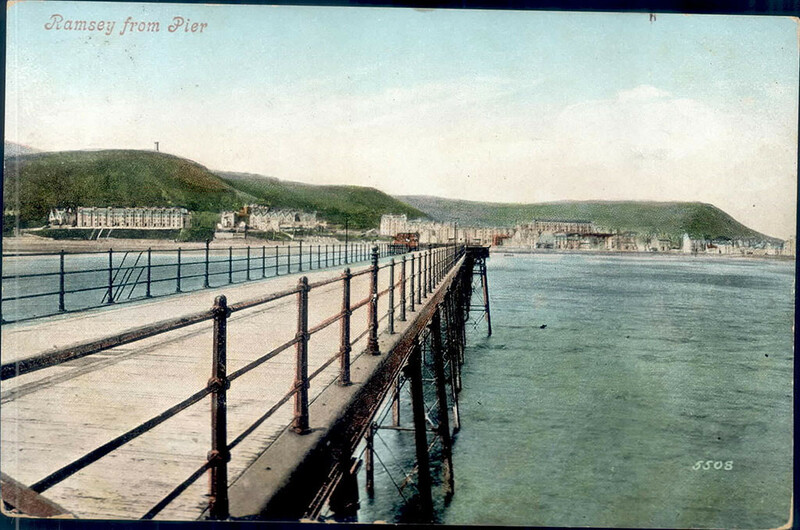 After the 1970 season, the pier was closed to steamers but remained open to anglers and holidaymakers. The tramway continued to operate. By 1979, the wooden berthing head was fenced off and the cafe and tramway only traded during the summer. The tramway closed in 1981. In 1990, the main berthing head had separated from the pier and was awaiting removal by a government workforce. 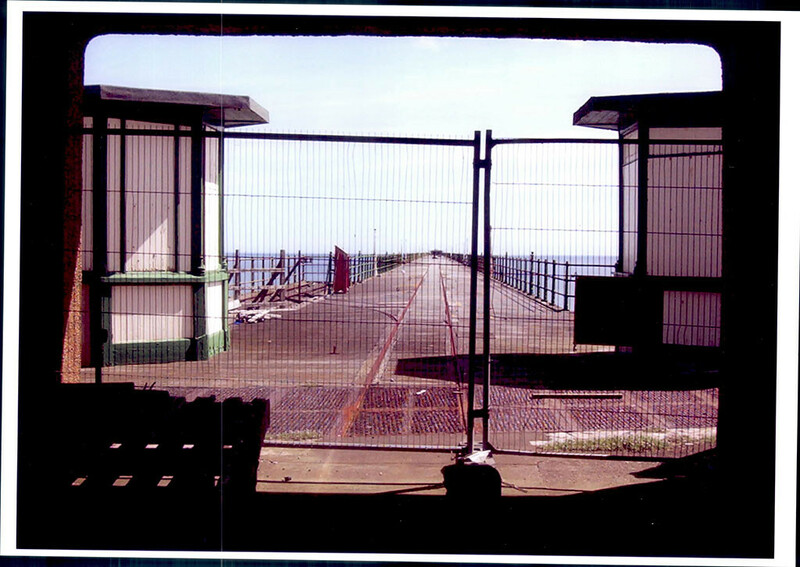 Repairs by the Department of Highways, Ports and Properties (DHPP) enabled the pier to re-open for the 1990 season but, within 48 hours of opening, the repair work had been vandalised. 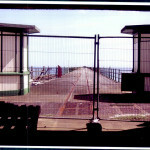 In 1991, the DHPP stated that they would close the pier if there was further vandalism. 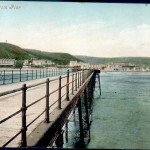 The pier did close, with restoration costs estimated at over £2.5 million and demolition estimated at over £1 million. 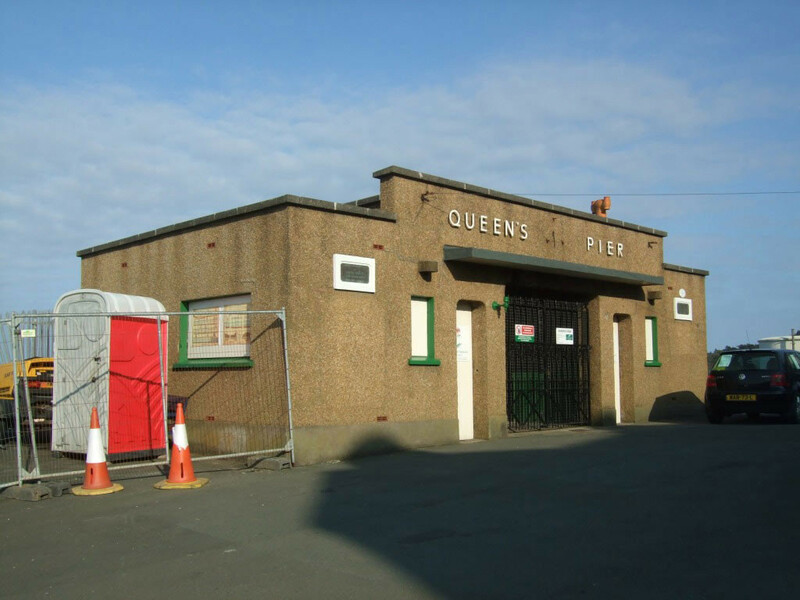 The ‘Friends of Ramsey Queen’s Pier’ were formed in 1994, and a section was opened for National Piers Day in June 1996. Also in 1996, divers removed broken tie rods, cleaned the bracketry and installed new ties. 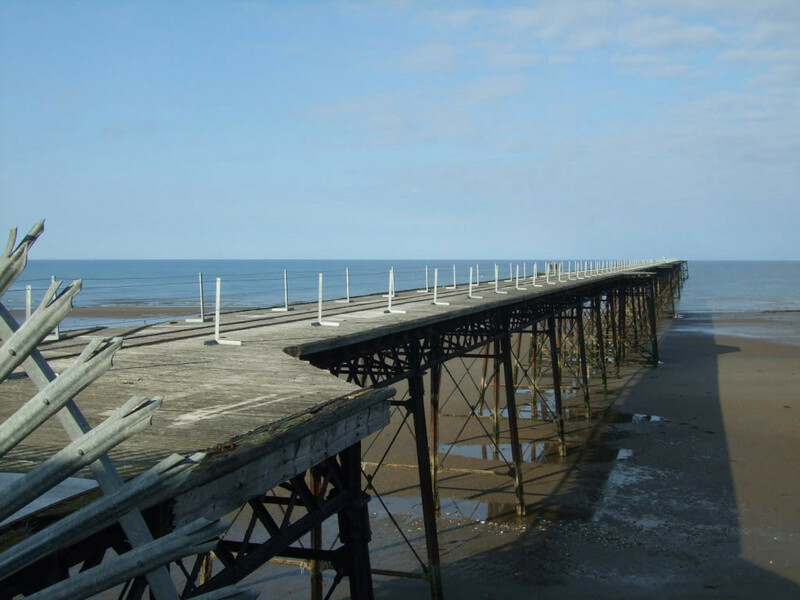 The cost of these repairs was met from the pier’s £40,000 annual provision. In 1999, a report commissioned by the Friends of Ramsey Queen’s Pier found that the Pier was in much better condition structurally than many British piers and full refurbishment would cost £1.273 million. However, for almost the next ten years, progress was painfully slow, consisting primarily of just a series of reports and little actual movement, much to the dismay of the Friends of the Pier. 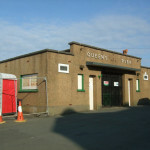 Finally, in January 2009, a Council of Ministers Working Group decide that Queen’s Pier is of national heritage significance and should be refurbished. In July 2009, Tony Wills and Tim Wardley visited the pier and were fully supportive of the Friends campaign to restore the pier. However, in September 2009, consulting engineers BWB Consulting were commissioned by the Steering Group established by the Council of Ministers to progress options to secure the future of the pier. 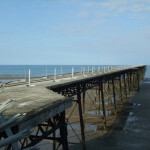 The Steering Group finally produced a recommendation in May 2010 that the pier be saved from demolition – but would remain closed to the public as there was no money for its restoration. The cost of £1.8m for this option was agreed by the Tynwald. In May 2012 a new report stated that Ramsey Pier could be restored – and progressively reopened to the public – in seven phases costing between £1.2 million and £1.7m each. But director of harbours Captain Mike Brew said that there was little likelihood of Tynwald approval being sought for such a phased scheme for at least another five years. In July 2015, it was reported that the Ramsey Queen’s Pier Restoration Trust was working with the government on a lease agreement in order to start work bringing the structure back into use. The harbour director had confirmed that a three-year lease was being drawn up to offer the pier at a peppercorn rent to the trust who were beginning fund-raising to restore the first 50m section. Over 100 people attended a public meeting in September 2015 to gather support for the Trust’s plans to restore the pier. In March 2016, campaigners who had been negotiating with the Manx government for a licence to access to the pier to carry out a survey of the structure announced that they hoped to have the keys to the long-closed pier within two weeks. An initial 3 year licence would enable a formally constituted trust to complete repairs to the first three bays, which would provide a better understanding of what the total project. On completion of this phase, it was intended that a 99 year lease would be issued to allow the remainder of the pier to be finished, and brought back into public use. Local people were being urged to join the project group to help bring about the restoration. Ways of raising the cash needed for the restoration work were being explored and a number of events were being targeted to try and raise the money required. And in May 2016, the gates of the 130-year-old Victorian pier were officially unlocked for the first time in 25 years when the government handed over the keys to the Queen’s Pier Restoration Trust (QPRT). It was estimated that full restoration could cost around £1.5m. The pier would however remain closed to the general public. A QPRT spokesman said the next stage of their campaign would see a survey undertaken before a £60,000 project got underway to restore the first of 55 bays. July 2017 – New lease can mean restoration to begin at Ramsey Queen’s Pier? In July 2017, the Queen’s Pier Restoration Trust (QPRT) were granted a five-year lease on the pier which they hoped would enable them to begin the restoration of the 130-year-old Victorian landmark, which had been closed since 1990. The Trust’s chairman described it as a “momentous day” for the project. 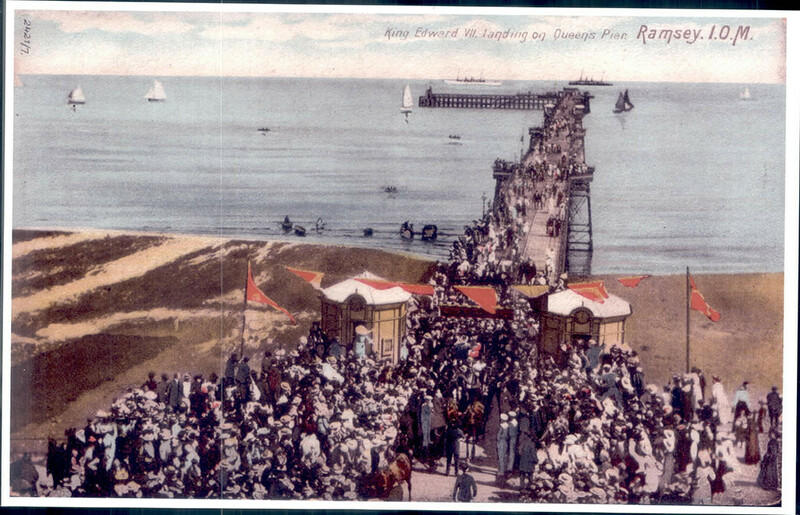 November 2017 – Ramsey Queen’s Pier needs your help! By November 2017, public donations had already raised enough for repairs to get under way, but campaigners said around £8,000 more was needed to buy steel.